Page rules are how you're able to show or hide certain templates on specific pages. 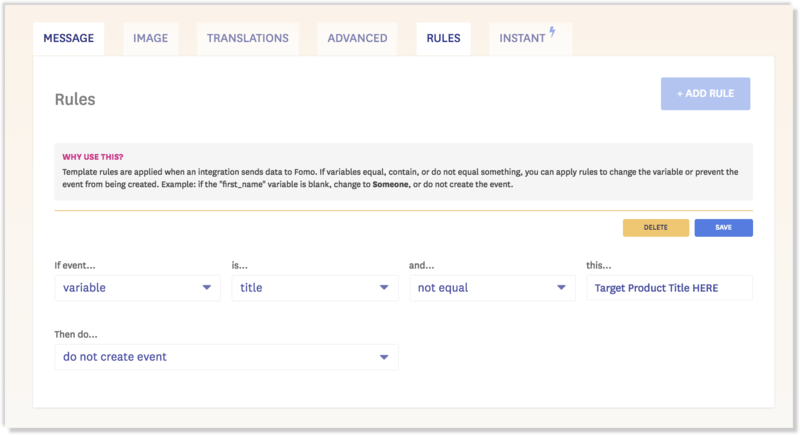 Because page rules work on the template level, they won't work as a standalone solution when trying to show certain products on certain pages. In order to achieve this, you'll need to create a new integration connection for each product that you want to individually showcase on a specific page. 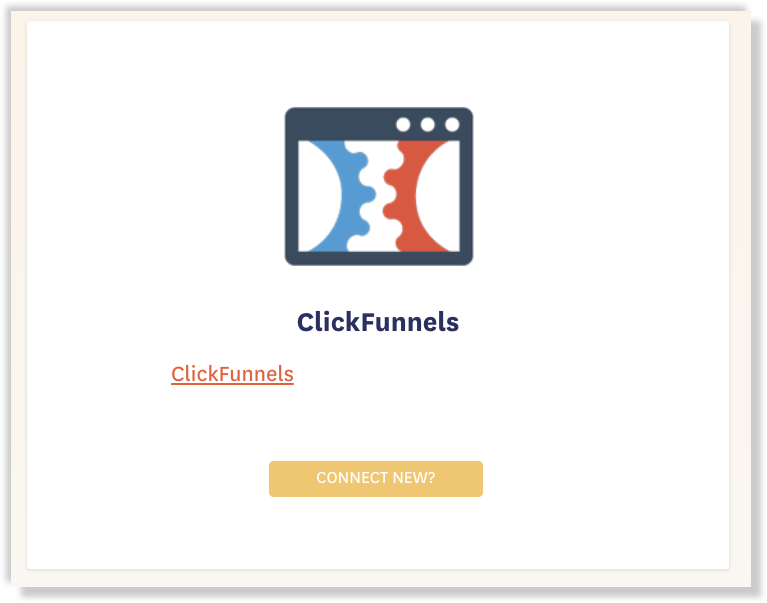 We're going to use ClickFunnels as an example, but the general flow is the same for all of our integration apps. Step 2- rename the newly generated Fomo template to the specific product's name being sold, ie "ClickFunnels Purchase --> Nature Encyclopedia purchase". You can access your templates by clicking into the side-bar menu on the right and selecting 'templates'. Step 5- Repeat this for each of your desired products/funnels, and you're done! 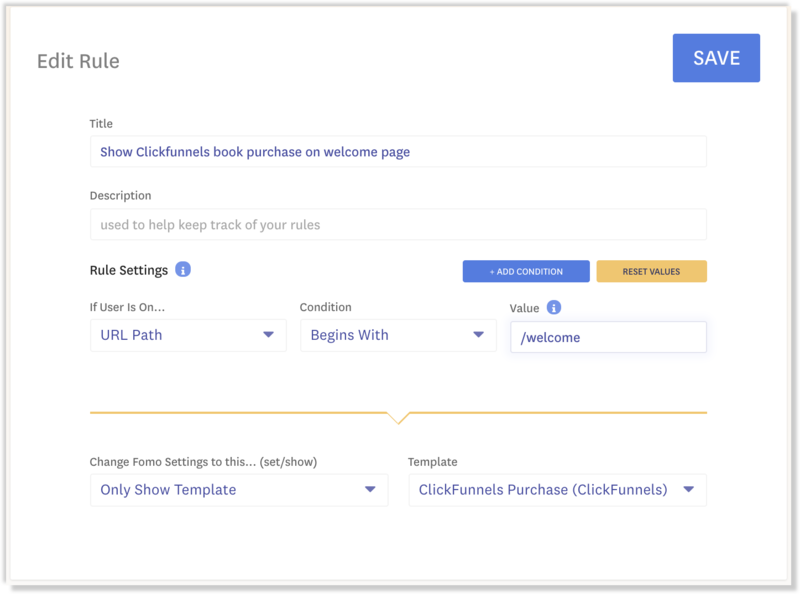 Now, visitors on your specific funnel pages (via the Page Rule) will only see notifications for products purchased within that product's context.